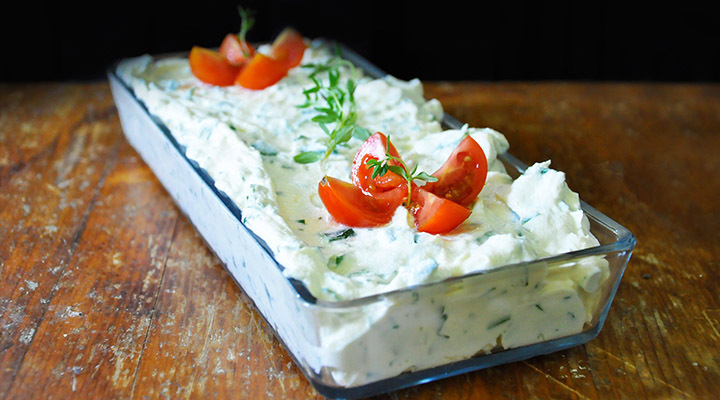 This is a super smooth cream cheese recipe with fresh herbs, ready in just 10 minutes! It's the creamiest cheese spread you'll ever make! Mash the ricotta cheese using a fork and place it in your food processor. Add feta cheese and ½ glass of water. Let the food processor do it’s job for about 3 minutes. Add more water if needed, in order to get a smooth consistency. Put the cream cheese in a large bowl and add fresh chopped herbs, salt, and pepper. You can also try to combine it with caraway or dill, instead of parsley + onion.